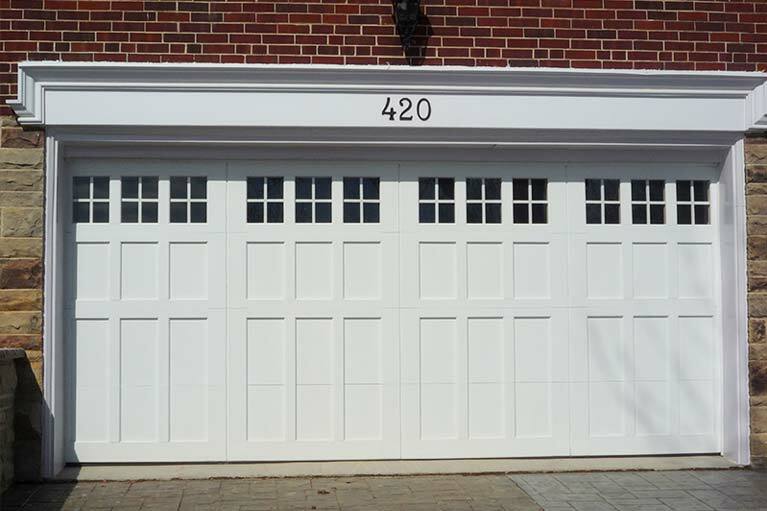 White wooden garage doors offer a stylish look and match the exterior and overall color scheme of the building. 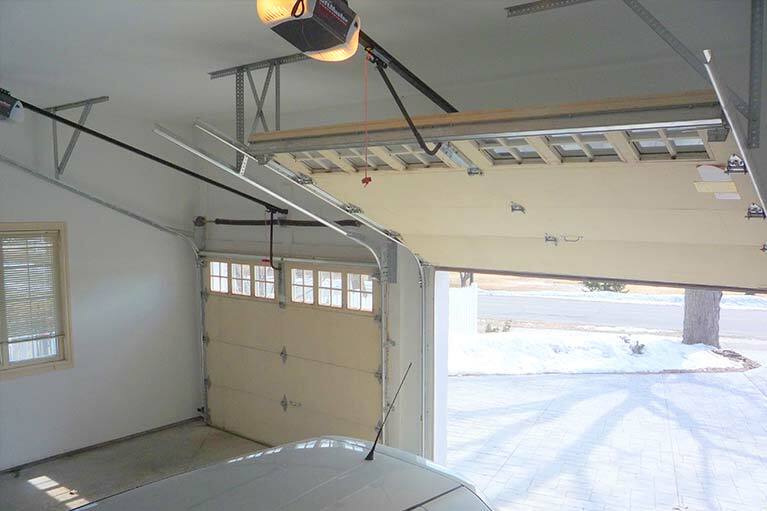 Sloping horizontal tracks are installed due to the sloping ceiling of the garage. 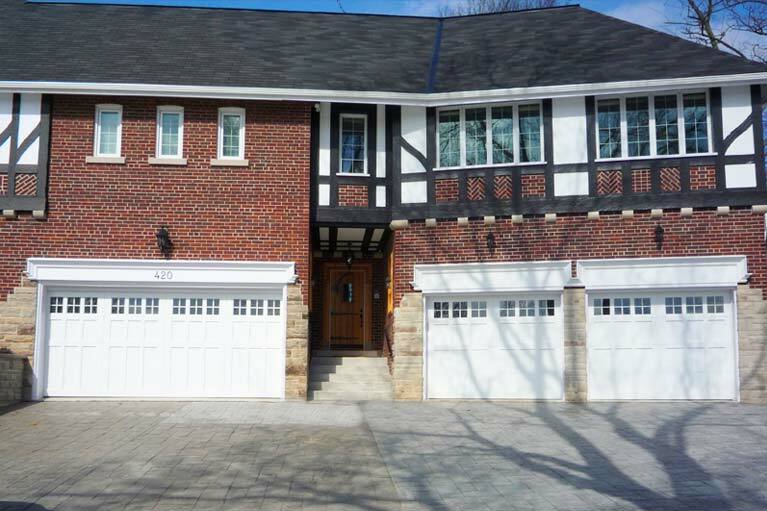 The wooden garage doors are Canadian made.